Last weekend, Learning Life volunteers and D.C. families converged on a unique restaurant in metropolitan Washington D.C. for an extraordinary Senegalese feast. The lunch last Saturday, generously sponsored by CoFunder, inaugurated an international meal series that is part of Learning Life’s Citizen Diplomacy Initiative (CDI). 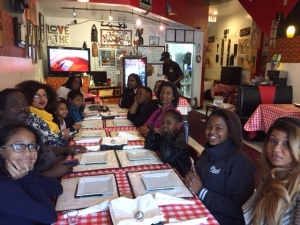 CDI engages lower-income families in D.C. Wards 7 and 8 in live internet dialogues and project collaborations to nurture more informed, skilled, connected and caring global citizens in the long-term. To help spread world learning in Wards 7 and 8, and to enrich CDI families’ international experience, Learning Life is this year initiating Anacostia International, which will offer CDI families free, sponsored meals and cultural conversation at metro D.C. ethnic restaurants, and country presentations free and open to the public at the Anacostia Arts Center on Good Hope Road SE in Anacostia. Lamb in a Senegalese peanut sauce with sweet potatoes and carrots. Besides tasting Senegalese cuisine, the four participating CDI families learned through invited speakers about Senegalese cuisine, the concept of “food culture” (the foods and food behaviors of a social group, including their ways of growing, processing, cooking, eating and disposing of food), food-related social entrepreneurialism in Africa, and more generally, the importance of Africa to Americans and the world. 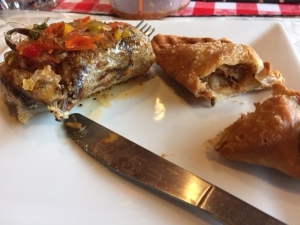 As part of Anacostia International, Learning Life is planning more international meals this year at Latin American, Middle Eastern and Asian restaurants in metro Washington. Stay tuned for more! Thanks to Samson Williams of CoFunder for helping to germinate the idea of an international meal series, and for making this inaugural lunch possible. 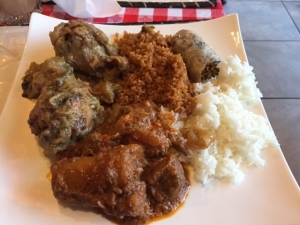 Thanks also to Learning Life volunteers and guests Emilie Mondon-Konan, Hellen Fissihaie of F3Global, Issa Ndiong of the Senegalese Association of the DMV, and Mamadou Fall, owner of Chez Dior, for their contributions to this inaugural Anacostia International meal! 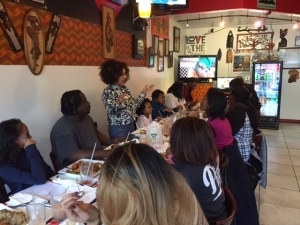 Interested in sponsoring a future meal, or getting involved in Anacostia International? Contact us at email@learninglife.info.